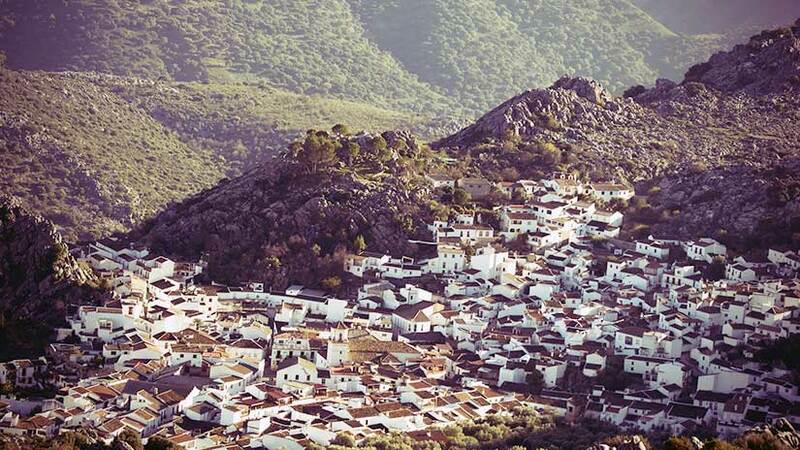 A white village in the Serrania de Ronda mountains whose urban design bears witness to its Andalusi past, with steep, narrow streets and whitewashed houses with Arabic roof tiling; a past that is especially evident in the upper district of the village. The lower district, with its modern streets, is home to St. James’ Parish Church. The name Montejaque comes from Monte Sacrum, ¨sacred mountain¨. As a military fortress, it played an important defensive role in protecting the borders of the Nazari kingdom of Granada. When Ronda was captured and the surrounding area subsequently controlled by the Catholic Monarchs in 1485, Montejaque was awarded to the Count of Benavente, who was named Lord of Montejaque and Benaojan, whereupon the two villages ceased to be mere districts of the town of Ronda. Another event in the village’s history occurred in 1810, during the War of Independence, when the guerrilla Jose de Aguilar led 250 men from Montejaque, Benaojan, Atajate, Cortes de la Frontera and Jimera de Libar to victory against 600 French foot soldiers and 90 cavalry at the bridge over the River Gaduares.